In Newport Beach, there is only one option for premium eye care, and that is Atlantis Eyecare. We have eight locations throughout Southern California, giving you convenient access to our leading edge equipment and advanced procedures. More important is the team of expert doctors and technicians, leading the way towards the finest eye care in Newport Beach. Our team is diverse in specialties, ranging from basic, routine eye care to the most comprehensive cataract surgery Newport Beach has to offer. The eye doctors and physicians at Atlantis are collaborative, working together to deliver eye care services that are effective, complete and all-inclusive. This centralized approach provides our patients with convenience and saved time and energy. Most importantly, it provides patients with a single, cohesive team of optometrists in Newport Beach, making treatment a breeze. For residents of Newport Beach, Atlantis Eyecare is the only name you need to know for all your vision care needs. At Atlantis Eyecare, we've compiled a team of top experts across the entire spectrum of eye care specialties. We've implemented a digital health records system, facilitating seamless collaboration between our doctors, which gives our patients the best possible eye treatment. While our team consists of Newport Beach optometrists in many different specialties, each is also at the top of his or her respective specialty. Our physicians are national speakers who regularly publish written works on their specialty, contributing greatly to the field of eye care. When not occupied with patients, our doctors are dedicated to advancing the technology in their field, giving you further assurance that they are people who truly care about results. You would be hard pressed to find a more experienced group than the eye doctors at Atlantis Eyecare Newport Beach. Their extensive background contributes to results that are nothing short of stellar. The top eye doctors at Atlantis Eyecare Newport Beach are fluent in leading edge procedures in eye care technology. Any procedure they deliver has decades of eye care research behind it. They are experts in highly developed cataract surgery and other leading edge vision correction techniques. 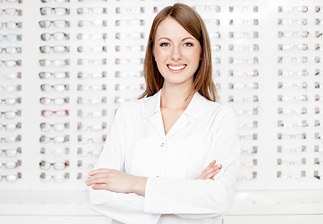 Simply put, our physicians offer the best eye care available in Newport Beach. Our administrative staff is the best in the business, with plenty of experience in catering to the unique needs of eye care patients. They have total empathy with patients and understand you are here to receive the best eye care possible. With offices all over the Southern California area, we have positioned ourselves for accessibility. Wherever your location, there is likely an Atlantis Eyecare Center close by.